Uniquely Noreen! 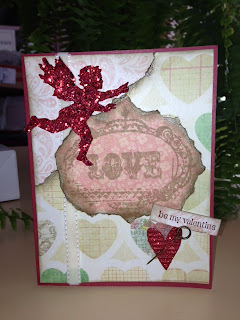 : Valentine's Day Cards! Here are some Valentine's Day cards I designed for 2013. Each one is unique from the other! You can click on the pictures to get a larger, more intricate view of the workmanship that goes into the making of each card. 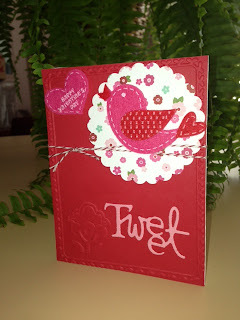 Interested in buying any of my card designs? Click on the pay pal link in the right column if you are interested in ordering any of these cards! Allow a maximum of seven days to receive via US Mail. Note: Shipping and handling is included in the cost per card! Red Bakers Twine adds texture to the card. Lots of distressing makes this card special! Girl is stamped on watercolor paper and painted using special blended inks. Three different papers are used as borders and each one has an edge that has a special border cut. Doily is cut from a designer die and is embellished with five pearls along the top edge. along the top left corner of the girl's background paper. A beautiful designed card guaranteed to get lots of "oohs" and "ahhs"! as well as distressing (die cut doily on core paper). 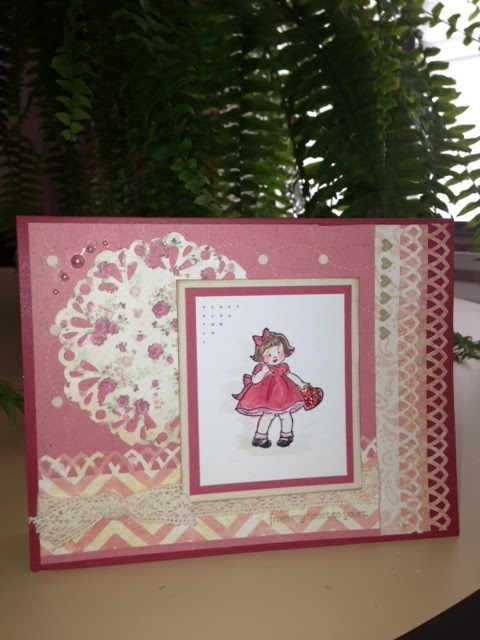 The silk flower is embellished with a large rhinestone, adding a little bling to the card! The old-fashioned tag is attached to a metal heart paper clip. 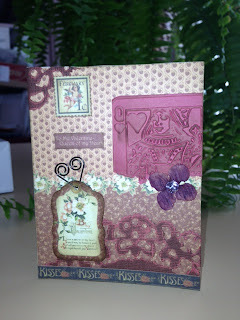 Words are distressed and added to this card front. 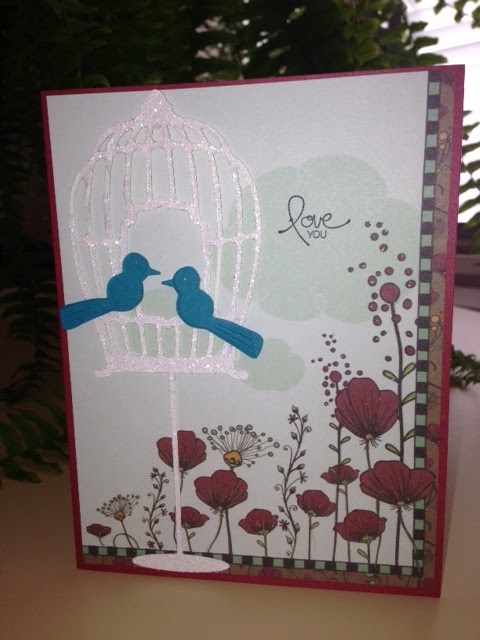 The intricate birdcage is a die cut, using white glitter paper. The two love birds are also die cut, using a deep teal card stock. using a glitter pen for some muted "bling". This card is stunning and would make a great wedding card as well! Cute cards...thanks for the congratulations on the Anna Griffin win. I hope you're still entering to win!